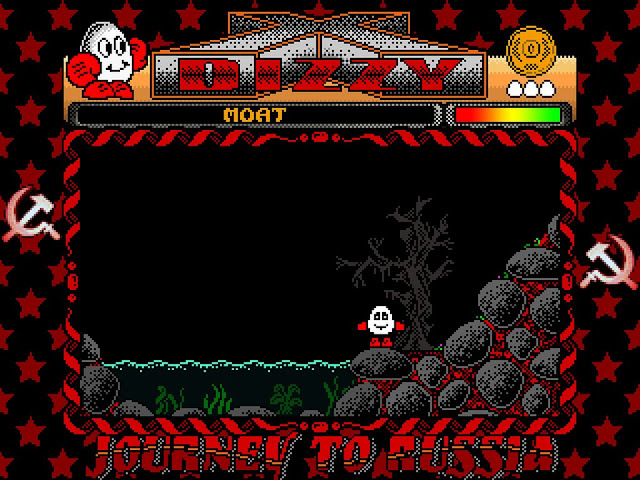 Indie Retro News: Dizzy X - Journey to Russia - A very Dizzy AGE remake is now available to play! Dizzy X - Journey to Russia - A very Dizzy AGE remake is now available to play! Oh joy of joys guess who's back? It's that lovable character Dizzy, who's once again staring in his very own story for kids and adults to enjoy from around the world, and not just in Russia. 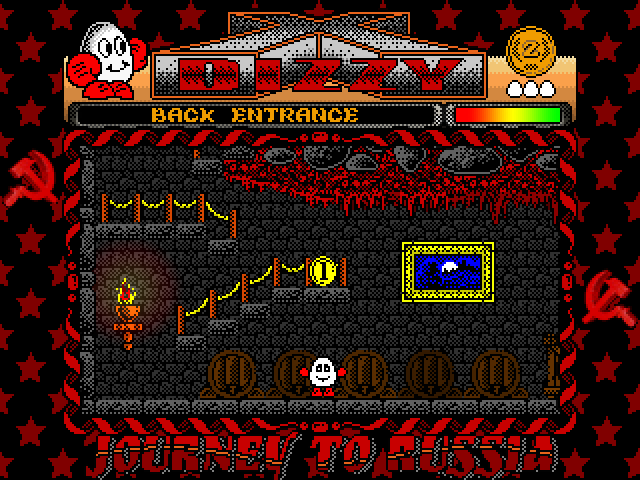 This is Dizzy X - Journey To Russia, a brand new fan remake by VK007 of the rather unknown ZX Spectrum of the same name originally developed by Sergey Gorshkov in 1994, and part of a long list of unofficial Russian Dizzy games such as Dizzy Y: Return to Russia; Dizzy 8' Dizzy 'A'; Dizzy 'B'; and Drunk Dizzy. As is always the case with Dizzy, you'll be rolling about, visiting the many locations, picking up items, talking to characters and re-living a part of nostalgia that has grown up with many of us from the 80's and into the 90's. So if you love Dizzy, and want something fresh to play on your PC without a ZX Spectrum laying about, then you owe it to yourself to play this fine retrotastic release.